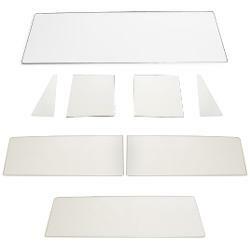 All glass in this kit is clear without tint and meets or exceeds OE standards. Shipping will be quoted after your order is placed. We will not charge your card until the shipping total has been approved.